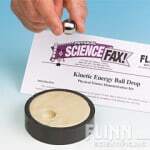 Our lending library offers cutting edge equipment and science kits to schools in Sarasota and Manatee Counties at no cost. Because of the lending library, educators who register with Suncoast Science Center are able to enhance their curriculum and promote exploration for improved understanding of science concepts. 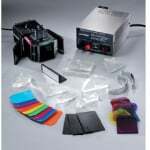 All kits and equipment are currently aligned with the Next Generation Sunshine State Standards. 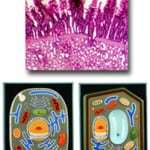 If you are new to the Science Lending Library please use the form on this page to register. 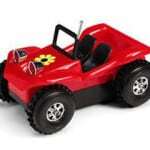 Once you have been approved, you are ready to browse the catalog and request equipment. Use the attached Lending Library Request link to make your request. Once your request is received, a science lending library representative will contact you to confirm availability of requested items and schedule delivery/pick-up dates. Contact us at education@suncoastscience.org or 941-840-4394. 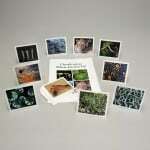 (Grades 6th – 12th) Make scientific classification a hands-on activity with this interactive kit. Using the colorful and durable Bio Cards and a classification key, students learn how to group organisms according to common traits. 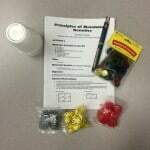 Kit also includes a teacher’s manual and student data sheets. 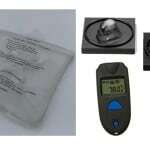 (Grades 2nd-12th) Experiment with energy-efficient materials, heating, cooling, conduction, convection, and insulation. Investigate Earth’s climate, the water cycle, and solar power. Construct and test solar, wind, and heat collection methods and learn about the energy conservation tricks used by plants. 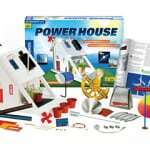 The kit contains energy houses, instructions, scientific explanations, and energy-saving tips. Some experiments require additional supplies. 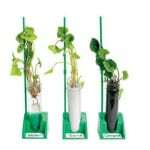 (Demo Use) (Grades K – 5th) These large test tubes are the perfect size for sprouting seeds and growing seedlings. 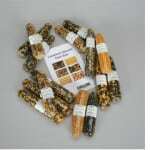 Use different soil types, or no soil at all, to grow and compare seedlings. A 360-degree view of growing plants from the roots up. 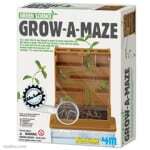 Does not include seeds or substrates. 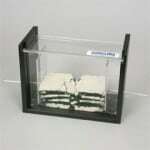 (Demo Use)(Grades 6th – 12th) This clear tank has a circular scale graduated in 5 degree increments, making it easy for students to measure angles of reflection and refraction. 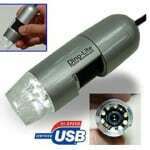 Rotate the laser and observe first a reflected ray, then both a reflected and refracted ray, and finally just a refracted ray. 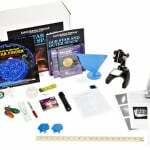 (Grades 5th-12th) Explores our universe by investigating the use of spectroscopes, an astrolabe, scale models, astrophotography, and other astronomer’s tools. Includes two DVDs, a teacher’s guide, answer sheets and evaluations. Expendable supplies not included. 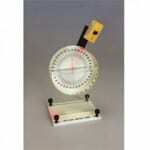 (Grades 4th – 12th) Fast and accurate readings from 0 to 14 pH with a resolution of 0.01 pH. 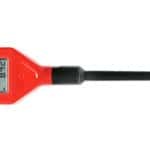 This compact tester features an easy-to-read LCD and simple to perform two-point calibration. 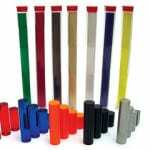 Kit includes storage solution, calibration solutions, and pipets for rinsing. (Grades 5th-12th) Students create a scale model of the solar system, then analyze the processes that formed the planets, study planetary motion, and synthesize a comet. 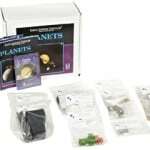 Includes the DVD Planets:New Discoveries. The Planets Videolab® consists of 10 workstations, including one observation station plus teacher’s guide. Expendable supplies not included. 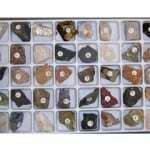 (Demo Use)(Grades 2nd -12th) Collection specimens include examples of igneous, sedimentary, and metamorphic rocks, rock forming minerals, ore forming minerals, and industrial minerals. 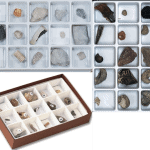 Collection contains 40 1.5″-2″ number-coded specimens, in a compartment tray and complete Rocks & Minerals Study Guide. (Demo Use) (Grades 6th – 12th) Demonstrates convergent, divergent, and transform boundaries in an easy-to-use, self-contained, hands-on model. Students predict landform creations along tectonic boundaries as the crustal plates push, pull, and slide past each other in minutes instead of millions of years. Expendable supplies not included. Consumable materials needed: white sand and colored sand. 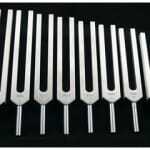 (Grades K – 5th) Use this tuning fork set and cups of water to explore sound and vibration with your students. 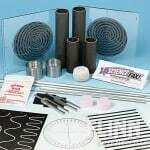 Includes two sets of tuning forks, cups and special “sound spoon headphones” for students to experiment with how sound waves travel through different substances. 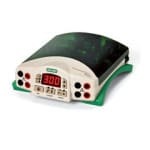 (Grades 5th – 12th) This kit includes handheld Vernier LabQuest dataloggers, gas pressure sensors, and temperature sensors. 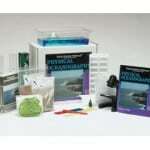 This kit consists of five hands-on experiments to explore the properties of waves and sound. 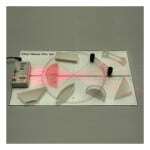 Students experiment with concepts such as frequency, amplitude, period, interference, resonance and the Doppler effect. 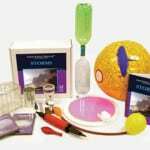 This complete “activity stations” lab kit is suitable for introductory or advanced-level class. 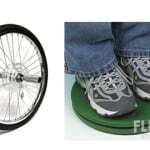 Detailed instructions and all necessary materials are provided.